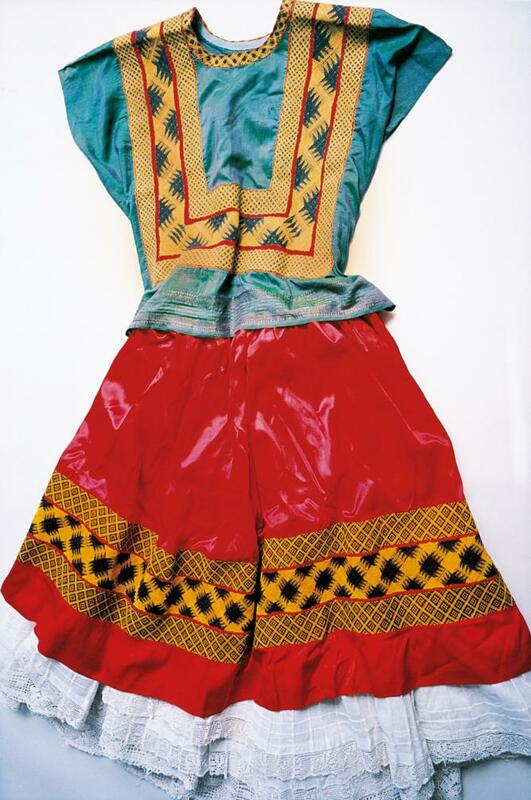 Frida Kahlo’s clothes are like Frida herself: colourful, powerful, filled with passion. Seeing them immediately evokes the richness of her paintings, while poignantly offering an insight into her life. This is the effect of the Ishiuchi Miyako: Frida exhibition at the Michael Hoppen Gallery, which collects Miyako’s photography of Kahlo’s wardrobe and belongings. 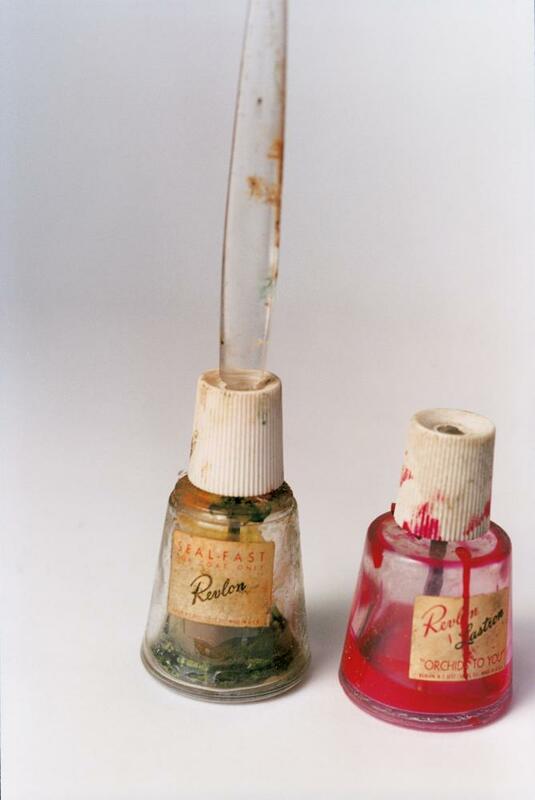 Japanese artist Ishiuchi Miyako was invited to photograph the items, which numbered over 300. Of these, only a handful are on display here, carefully arranged to paint the most subtle of portraits. There are hints at her illness, a testimony of her insatiable drive to create, and of her dark femininity. Still, the viewer here is prevented from getting too close: the photographs are ethereal and hypnotic, and the effect is hard to associate with the smells and texture of clothing. 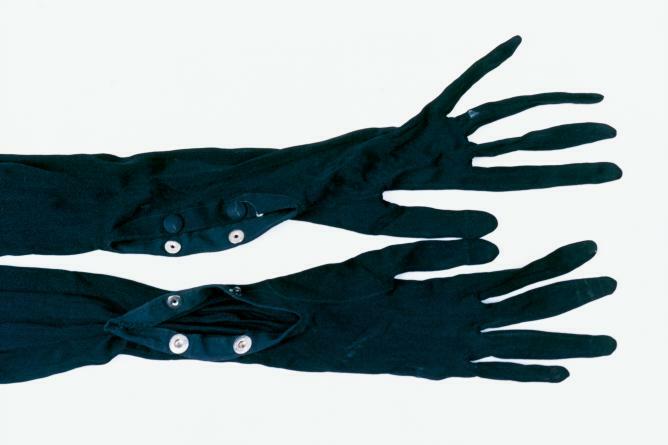 Reality is held at bay with long, black gloves that are stretching out into the whiteness around, far from inviting. When would she have worn them? Does it really matter? A corset with skirt attached seems to be echoing a Soviet astronaut’s gear – only a closer look reveals her hand drawings on the hard plaster. There are also hints of glamorous Frida, with cat-like sunglasses and a turquoise bathing suit – is there a Hollywood star beneath the paint dirt? 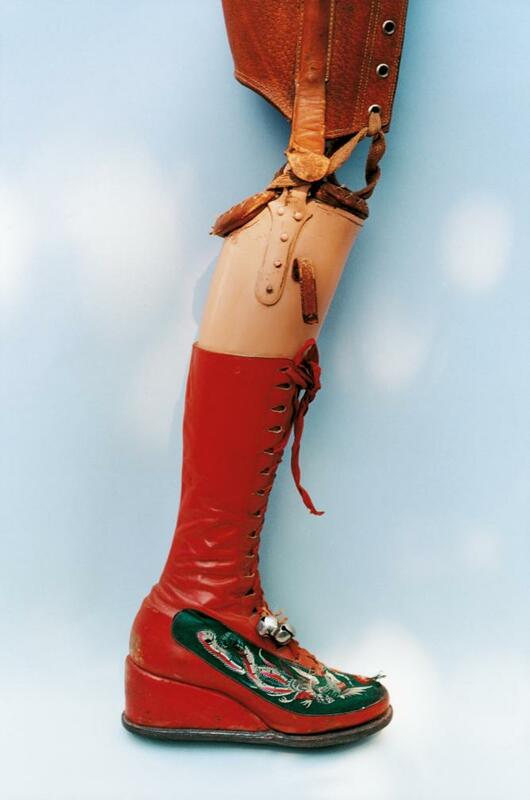 Then there is the artist at work – in this case hand-stitching skirts, decorating a fake boot to make it hers, dispersing her creative energy into her clothes which have become extensions of herself. All in all, Miyako’s photographs encapsulate different versions of this mythical woman, while keeping the real one at bay and free from intrusive curious looks. In a way, it’s as if that locked room was never opened. 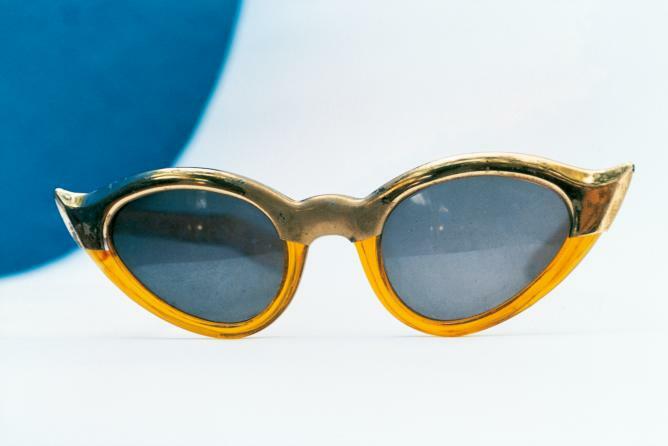 Ishiuchi Miyako: Frida runs at the Michael Hoppen Gallery until 12 July 2015.